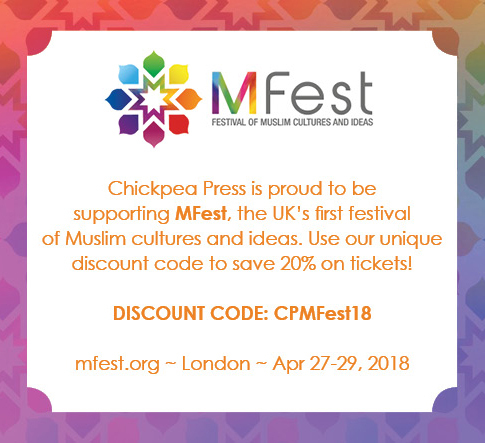 Chickpea Press is proud to be supporting MFest, the UK’s first Muslim festival of cultures and ideas. As a community partner, we can offer attendees a 20% discount on ticket prices! Get booking now – there are some great events happening!